Welcome to Brooke and the Boys! Hi there! 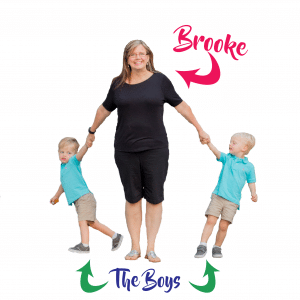 I’m Brooke – a single working mother of these brilliant, gorgeous, hysterical twin boys, who, although I grew them in my belly, are not genetically related to me. Besides loving my crazy boys – I love white sand and blue water, new passport stamps, the color pink, Milano cookies, Seminole Football, and the sound of church bells. I grew up in, and currently, live in Florida, but I miss New Hampshire every day. Well, I am someone who spent my late twenties and all of my thirties traveling the country for my corporate job, traveling the world for my personal pleasure and trying to ignore the fact that I was not even close to finding the man of my dreams. When my fortieth birthday neared, I realized that all the dating, searching, wishing, and waiting for Mr. Right I had been doing was not working for me to get the family I always thought I would have. When my twin boys were three, my company experienced a reorganization that drastically changed my life. I was a lifer for this corporation. I had been there for over 18 years, loved the majority of my job and felt like I made a difference. There had been several reorganizations before, but this one was terrible with a capital T! I was averaging between 70-80 hours per week, some weeks even more, in an increasingly hostile environment. It took about a year, but I finally had enough and quit. No job – No prospects – No plan. Leaving a six-figure corporate job with small children, no second income and no plan is not something I would recommend. It truly was a matter of survival for me when I left. Since then, I have been fortunate, no doubt about it. 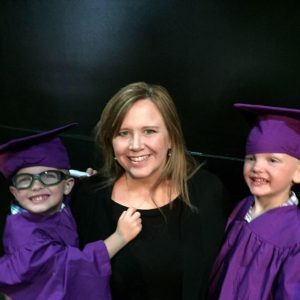 It has been an enlightening, scary, exciting time since I left my career behind to find balance, freedom and a life of sanity for my boys and me. I have been lucky to be able to piece together some freelance work to pay the bills, spend time decompressing and grieving for the career that I lost, and trying to figure out my next steps! I have SO many ideas – one of which is this blog! Being a mother is hard no matter the circumstance. Being a “Single Mother By Choice” (I probably prefer “Single Mother By Necessity” or “Solo Mom”) is a path not many walk. And being an over-forty working solo mom of multiples can be downright brutal! There is a place on this blog all about raising my kind, smart boys, what I’ve done well, the tools I’ve found, the gear – oh the gear, and also the massive failures and mistakes I’ve made! I mean – why not you benefit from my mistakes!? …I have some experiences to share on all that. And since I had a whole other life before I went and got my boys, working, traveling, experiencing life, I have some experiences to share about that. And since I have a post-corporate life, with side-hustles, ideas, dreams, and plans, I have some experiences to share about that. This blog is not only for single moms, or only for moms of “advanced maternal age”, or only for moms of multiples, or only for moms at all. It is for all those moms, but it is also for anyone – married, unmarried, single, mom or not – stuck waiting for their life to begin. Or anyone sitting on the plane on the way to their next customer with the nagging feeling there is more for them in this life. Or for anyone with a desire to make a drastic change and not knowing how to do it, or being afraid of what their family or friends will say. It is for anyone trying to find and create the life of their dreams. It is about realizing, really internalizing, that we have ONE LIFE. Just ONE. I hope to help you find whatever spare moments you can to focus on creating and finding the life that is your highest desire. As my adored Grama used to say, Be Always Kind and True. I will add to this – Be always kind and true – to everyone – especially yourself.